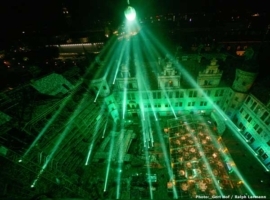 On september 2006 the reopening of the green vault of Dresden took place. 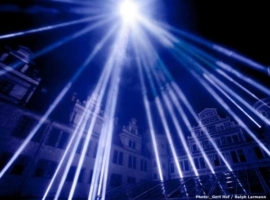 The project of the light designer Gert Hof was stage-managed in cooperation with A&O Lighting Technology and A&O Creative. 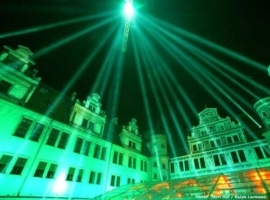 The event service provider was instructed to deliver 30 FALCON BEAM of the manufacturer alpha one gmbh. 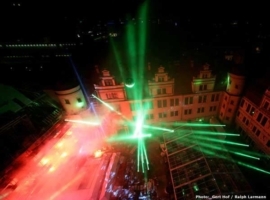 The impressive light production took place for 600 invited guests in the inner courtyard of the Dresdner castle. 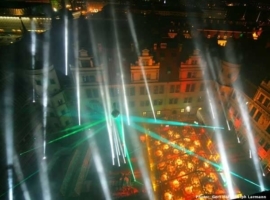 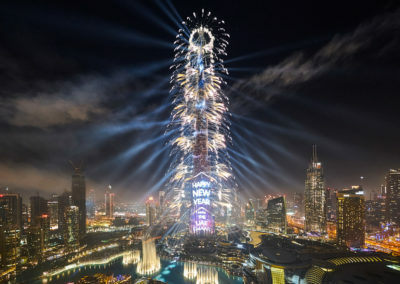 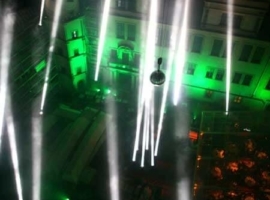 The FALCON BEAMs were installed evenly spread in the courtyard and concentraded their xenon beams during the light show on a mirror ball with 2,5 meter diameter, hanging on a crane. 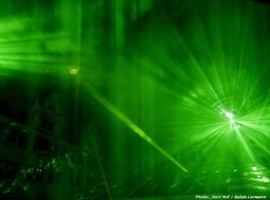 This mirror ball was illuminated to the famous green diamond. 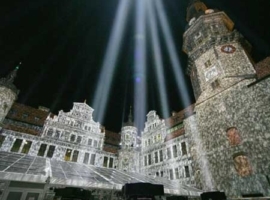 The reflected light beams conjured lively patterns on the fascades of the castles inner courtyard. 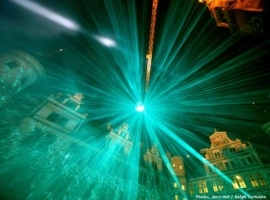 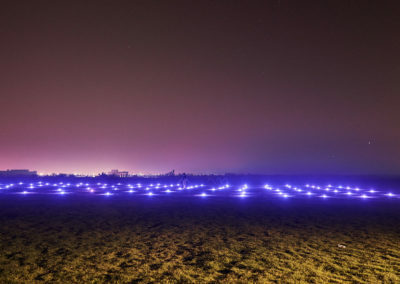 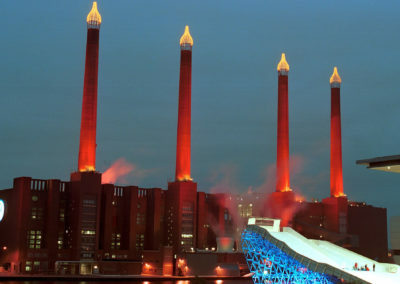 The light installation with complex mirror constructions by Gert Hof was accompanied by pyrotechnics and neon. 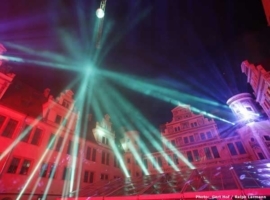 Gert Hof is responsible for the light design, A&O Lighting Technology delivered the light equipment and A&O Creative was responsible for the programming on location.